It is the policy of HPT that the products shall meet the customer's specified and implied requirements, industrial codes and national standards and shall be produced and delivered to the customers on schedule. We have been dedicated to supplying the best quality products and services for our customers. 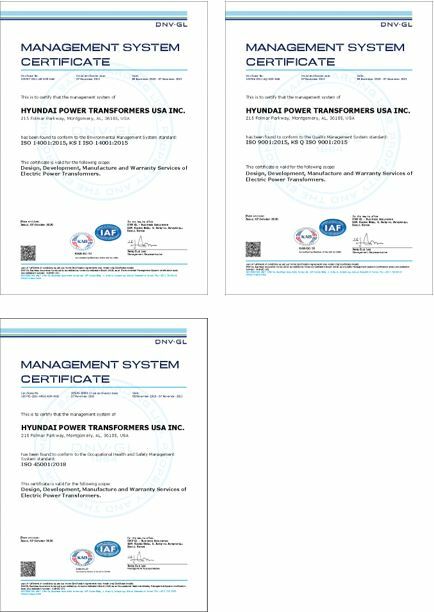 We have developed HPT own quality assurance program to comply with the ISO 9001 for Manufacturing, ISO 14001 for Environmental, and OHSAS 18001 for Safety as required by the most authoritative International Organization for Standardization (ISO) in order to assure that HPT products are designed, manufactured, inspected, tested and delivered in the most efficient manner.